The United States’ Broadcasting Board of Governors (BBG)–the governing body responsible for all US international broadcasting–is asking for your comments on the relevancy of shortwave radio broadcasting today. In short, simply send the BBG an email (limited to 1,200 words or less) with your comments by March 14th, 2014. As a favor, I ask that every SWLing Post reader consider sending their comments in support of shortwave radio broadcasting, even if you argue in favor of reduced capacity. 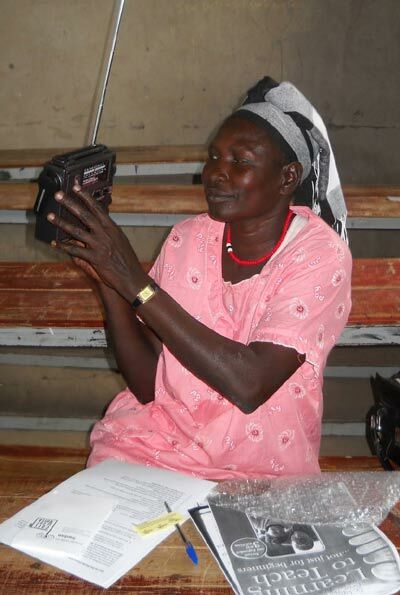 There are still so many parts of the world–impoverished areas, and states with repressive regimes–that rely on shortwave radio for information access. Additionally, shortwave radio can serve as an information source, domestically, in times of large-scale disasters. I’ve tagged dozens of posts here on the SWLing Post which reference the necessity of shortwave radio broadcasting. Click here to read these posts. Shortwave radio has been a mainstay of U.S. international media since the 1940s. Over time, however, the number of countries in which shortwave is the medium of choice for audiences overseas has been shrinking. In many places, people are increasingly turning to other means to get news and information – including but not limited to FM radio, satellite television, web sites, social media, and their mobile phones. The Broadcasting Board of Governors (BBG), the independent federal government agency that oversees U.S. civilian international media, has been adjusting to these changes over the years and now delivers news and information programs on a wider variety of platforms in more languages than any other media organization. To support its commitment of reaching audiences on their preferred media, the Board recently established a Special Committee on the Future of Shortwave Radio Broadcasting, which has been conducting a thorough review of the agency’s use of shortwave radio as a distribution platform, the associated costs, and the likely reliance on it by next-generation audiences. This Committee is now seeking feedback from external experts and stakeholders on their perspectives on the role of shortwave radio broadcasting as a BBG distribution platform. We are particularly interested to hear views that consider the evolving media consumption of target audiences, changing access to shortwave and other platforms, and the need to prioritize in an austere federal budget environment. The BBG is committed to sustaining shortwave broadcasting to regions where a critical need for the platform remains. The Shortwave Committee has held two meetings focused on the shortwave audience’s listening experience, the BBG networks’ success in reaching target audiences, the role of shortwave in the networks’ engagement strategies in various markets, the cost of operating shortwave transmitting facilities, and the BBG’s research into how shortwave is being used and its impact on audiences. Your input will better inform the Committee’s recommendations and could help shape its comprehensive report to the plenary Board. Please contribute questions, comments or suggestions via e-mail toShortwaveCommittee@bbg.gov by March 14, 2014. To facilitate the review process, please limit your submission to 1200 words or fewer. All comments may be reprinted as part of the Committee’s proceedings and may be made public. The news and information provided by our networks helps bring the light of truth to some of the darkest corners of the world. By supporting the free flow of news and information, including combatting Internet censorship and providing news and information tailored for specific audiences, developing local media, and creating access to global media, we purposefully support the freedom to speak, the freedom to listen, and the freedom of expression. If you are aware of anyone with special interest in this topic, I encourage you to share this request with them. Thank you for your interest in taking part in this process to help the BBG become more efficient and effective in supporting U.S. national security and foreign policy. This entry was posted in Broadcasters, News, Shortwave Radio and tagged BBG, Broadcasting Board of Governors, IBB, International Broadcasting Bureau, Radio Free Asia, Radio Liberty, Radio Marti, RFA, Shortwave Radio, VOA, Voice of America on March 3, 2014 by Thomas. One country, North Korea. That alone should be reason enough to continue our broadcasts. We need a consistent message of hope and truth that is always available for those to whom both are denied. Shortwave transmissions always have and always will get through. Frequent frequency shifting can frustrate jammers. There are no technical barriers. The greatest country should have the loudest voice, a voice that will encourage others to join us in freedom. I’ve heard in NK that citizens are only allowed use of “legal”, government-approved radios; which are actually manufactured to allow only frequencies used by VOK. Possession of a modded radio is punishable by weeks or months in a “re-education” camp. Insane! Lynn, the BBG is at least ten times bigger than RCI and unlike the CBC, the BBG isn’t destined to kill off all international broadcasting. We would see a large backlash from congress and special interests groups if this did happen. Absolutely, Thomas. Thanks for the heads-up!